Mormon Mommy Writers and Friends: When Writing Meets...? What an awesome week we've had with our giveaways! I am very excited to kick off Week #2 with a DOUBLE giveaway! This week you get not only my girly craftiness, but also a fantastic ebook giveaway from author DeAnn Ogden Huff. 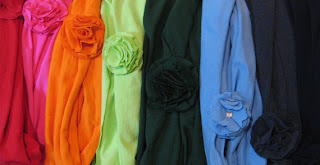 Today I'm giving one lucky winner her choice of one of my handmade infinity scarf and flower sets. Each set comes with an infinity scarf, which has been upcycled from a gently used t-shirt, and a matching flower clip which can be attached to either the scarf or clipped in your hair. 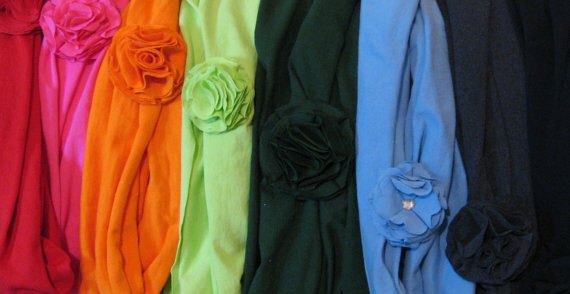 I have several colors still available in my inventory (not necessarily the ones you see here- but if there's a color you're dying for, I'll see what I can do!) and a lucky winner will get to choose! As you can see, I love to let my creative juices flow not just through my writing, but also through my crafting. Author DeAnn Huff finds her creativity flowing outside of the medium of writing as well! Which is why I am very excited about this next giveaway- if you remember a couple of months ago when MMW interviewed author David Farland, you might remember his foray into the world of enhanced ebooks. 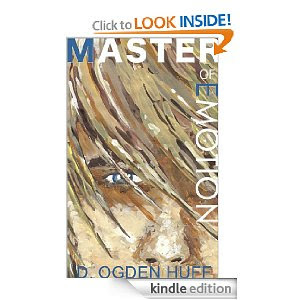 Apparently great minds think alike, because author DeAnn Ogden Huff has experimented with the very same thing by incorporating a soundtrack into her book, Master of Emotion. Read below to find out more about this great book and to read an excerpt- WITH the link to the corresponding soundtrack! How cool is that?? Beau’s getting loads of attention lately. Whether he wants it or not. Even if it’s his worst nightmare. Now his irritating twin brother expects him to embrace his abnormality, too? Sure. His brother calls it his “ability”— Beau’s gift for feeling and experiencing someone else’s emotions with just a touch. But when he’s surrounded by an onslaught of overactive teenage emotion and a twin who eagerly touches everyone to read their thoughts, his ability seems like a curse. The safest way out is to put up a wall and hide behind it. What is it about a girl and danger that makes a seventeen-year-old guy leap forward when he ought to step back? Of course, Beau will be the first to admit the girl is totally worth the trauma. And it’s kinda amazing finding five more sensory enhanced teenagers, just like him, though they seriously invade his personal space. Then just when he thought life had finally cut him a break, they end up as lab rats to the psycho doctor who killed their mothers and made them orphans. What Beau didn’t see coming was having the most painful threat come from one of their own. What’s a guy have to do to survive it all? Movies have soundtracks. Why not novels? Why not my novel, Master of Emotion? Ultimately, that idea pushed me into self-publishing my novel as an e-book. By intertwining music and a novel, the words give mental images to the music and the music enhances the emotion of the words. I didn’t think a traditional publisher would be willing to allow me the freedom to pursue my idea. So I did it myself. The musical artist that fits best with my novel is John Vesely, who records under the name Secondhand Serenade. He is a talented singer/songwriter who is a modern “one-man show” singing and performing many of the multilayered vocals and instruments himself. Check out his website at http://www.myspace.com/secondhandserenade to listen to and buy his music. I invite you to follow the link and listen to one of Secondhand Serenade’s songs that fit the emotion of that moment in the novel. I’ve included a website address or two where you might be able to listen to the full song. But if you like the music, go back later and buy the songs—make your own soundtrack. I hope you enjoy my unofficial attempt at a soundtrack. I’d wasted a week of intense mental exertion, landing me in exactly the same place where I started five days ago. Each day progressed the same way. Passing her house in the morning, I fought against my desire to turn my head. She sat behind me in Government, not touching or speaking to me. Yet, every day as she walked out of the room, she turned and smiled reassuringly, her sparkling green eyes as refreshing as clear pools of cool water. At lunch, I found excuses to stay in the area after Bryce wandered off, waiting until Rose drifted out of the cafeteria always talking and laughing with someone. She managed to catch my eye even when I tried not to look. Our English class was especially excruciating because she enjoyed it so much. Her love for the subject meant she spoke up often with comments both enthusiastic and insightful. The intensity of her smooth voice, filled with passion for the subject and so close to my ears, actually caused me pain. My chest ached with a hunger, a craving, for one more comment, one more word, one more laugh. My truck followed her car out of the parking lot every day, until she pulled into her driveway and walked into the house. Only then would I go into work. Her house and car drew my eyes like a bright light whenever I worked outside. Running every night, I detoured past her home on the way to the high school. Then in frustration, I always forced myself to take the long way home, away from her. My school work wasn’t suffering. I poured myself into my books to avoid thinking of her. Each day Bryce looked at me, more worried. Would I be better off if I stopped fighting it and rushed up and touched her? The thought always made me feel half-panicked and half-mesmerized—like future road-kill caught in the headlights of an oncoming semi, loving the light too much to realize obliteration was only a honk away. And like the condemned creature, I couldn’t move, couldn’t change the pattern. The weekend had brought the relief of work: projects at the grade school on Saturday and chores around the house on Sunday. Just because the Cross’s wouldn’t lift a finger didn’t mean we were off the hook. Unfortunately, the weekend also brought the hope Monday would be different. But each hour without change on that Monday made me more discouraged. A year of that would be unbearable, yet there seemed no end in sight. I was a sinking turd spinning in a plugged, churning toilet. Bryce’s previous lecture bounced around in my brain. “Our abilities shouldn’t control us. We should control them.” He’d gloat knowing I remembered what he had said. But I sure wouldn’t tell him. As I trudged into English Monday afternoon, I realized if I wanted something to change it had to start with me. But what should I do? Then a glimmer of an idea lit my foggy brain. While I realized the plan would probably backfire and make me more miserable, I needed to try something. So I did something completely normal for most people but totally out of character for me. I changed my routine and sat in a different seat. In fact, I sat in the seat Rose had occupied for the previous five days and left mine in the corner empty. As soon as my faded jeans hit the seat, I knew it was a bad decision. I’d stand out as much as the hairy mole on Mrs. Cross’s chin. Besides, Rose would probably see me sitting there, interpret my action as an attempt to chase her away, and move to the other side of the room, far away from me. That would only make things worse. Chickening out, I leaned forward to move back to my usual seat just as her voice drifted into the room as she entered and headed toward the front corner. Holding my breath, I prayed silently she’d take the seat in front of me. “Oh ... this is different.” She paused, standing behind me. I hoped from her amused tone that she wore a smile on her lips, even though, staring intently at my desk, I couldn’t tell for sure. “But different is good.” Walking past me, she slid into the corner seat in the front row. “Cool. Interesting desk,” she added appreciatively. She traced a swirling tattoo with her pinkie finger. I hoped she couldn’t hear my relief as I resumed breathing once again. I hope you like the combination of music and writing as much as I do! OHHH I've heard a little of this while it was in progress. I can't wait to read it (maybe win it). Thanks for posting this. It's hard to find good clean romance. I can't refollow.... but I posted on facebook. I already follow this blog but I'll tout it on Facebook and on my blog for you...:o) I'd have loved to write for this blog but at the time was too busy at the time to put my name forward. Maybe sometime soon. I AM, however, extremely interested in Master of Emotion! What a fantastic idea! I'd love to win your book! 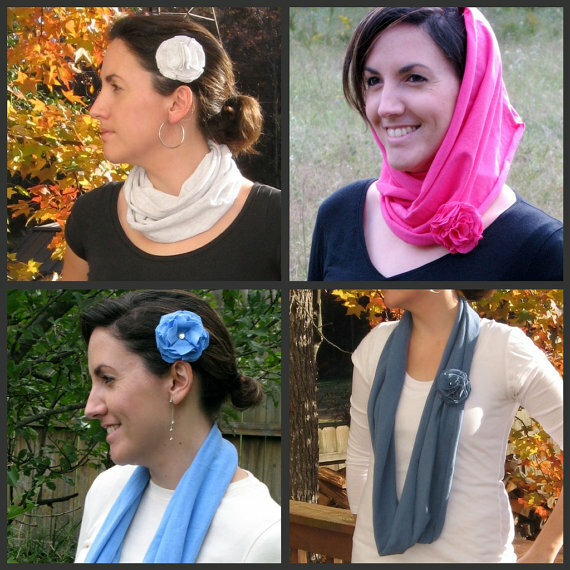 I would love to win the scarf/flower set! Pick me, pick me! Thanks! Not really Danny. Ha ha! It's Brooke who would love to win! It"s wonderful to see good wholesome writing.It seems your authors really have a lot of good works on this sight. Would love to get involved reading some of these.